Shahid Kapoor and Kareena Kapoor’s relationship is in news once again. No, they are not doing any movie together, nor have the two shared any close contact with each other. Their relationship is in news again because of Shahid. Reportedly, Shahid Kapoor has thrown an open challenge to the Nawab of Pataudi, who happens to be his Ex-Girlfriend Kareena Kapoor’s husband. 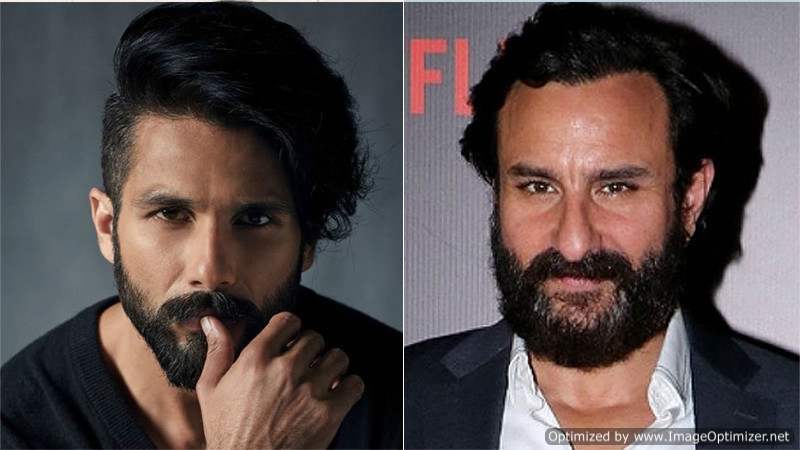 Although Shahid and Saif Ali Khan share a good bond together despite having such an awkward relationship, this challenge may seem to be a bit too much. Shahid Kapoor and Kareena Kapoor were in a serious relationship for a long time but parted ways before the release of their superhit romantic movie Jab We Met. Both of them have moved on in their lives and are happily married. While Kareena is married to the Nawab of Pataudi, Saif Ali Khan, Shahid Kapoor married the young and beautiful Mira Rajput. After sharing a stable and friendly bond with Saif for quite some time, Shahid has suddenly challenged Saif Ali Khan in front of the entire media. Throwing out an open challenge to Saif, Shahid said, “I might just get there, watch out Saif.” Well, let’s see how Saif Ali Khan or for that matter Kareena Kapoor Khan reacts on this open challenge by Shahid.